Twitter is now offering some advertisers guarantees on video ads, a step of maturation for the company that makes its ad product similar to a TV-style buy. Twitter has been working closely with Dentsu Aegis Network to develop its first guaranteed ad product, which lets brands order a set amount of pre-roll video ads with certainty that they get seen by a target group of consumers. The pre-roll video ads are counted according to Media Ratings Council standards and the results are confirmed by third parties like Integral Ad Science. Integral is among the third-party measurement companies used by advertisers to independently verify data from platforms like Twitter, Facebook and YouTube. Twitter also works with Moat. "We kept saying we want to buy with them like we do TV," said Michael Law, exec VP of video investment at Dentsu Aegis Network. Dentsu has worked with about a dozen brands testing the video guarantees on Twitter, where they can count on delivery of the pre-roll commercials, running before premium content, and targeted to specific demographics. The guaranteed campaigns can cost in the "low six figures," Mr. Law said. "If we want to replace a TV [rating point] with online video inventory, and want them to be equal, we have to think about the environment they're running in," Mr. Law said. "That's why we worked with Twitter." Twitter has been making the push into video like most of its rivals – Facebook, Instagram, Snapchat – and it's one of the only ones with a pre-roll video product similar to YouTube. The ads run ahead of content from digital publishers, TV networks, media partners and sports leagues. Twitter has struck some content deals with the National Football League, Bloomberg, National Basketball Association and others. And the proliferation of video has opened more quality inventory. Twitter is focused on these video ad products as a way to simplify its offering for brands and attract dollars back to the platform, which has been struggling from increased social media competition. Facebook recently launched its first mid-roll commercials that play inside live videos, mostly from top publishers. Facebook does not let brands decide what content their ads run alongside, but Twitter does. "The content is approved by us," Mr. Law said. Twitter declined to comment for this story other than to confirm it offered guarantees and was working more closely with the measurement partners to verify its data. It did not say when guarantees would be open to more advertisers beyond its partnership with Denstu. Measurement has become an important topic in advertising. As more video ad dollars flow online, advertisers want to be able to verify the data they get back from the platforms. Last year, high-profile errors from Facebook spooked many advertisers in the industry. On any platform, video view counts and potential audience sizes are always subject to skepticism, which is why brands are eager for guarantees and independent measurement. 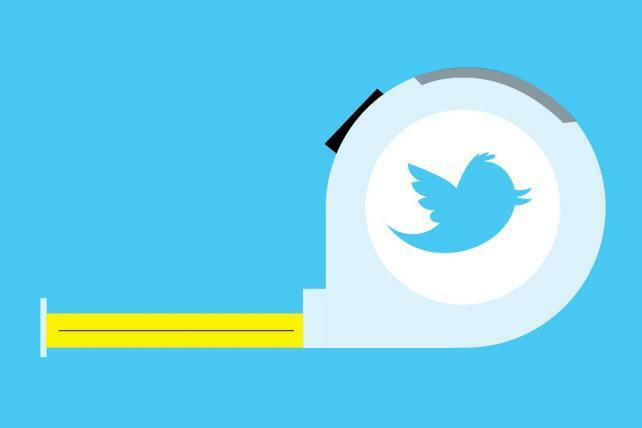 On Tuesday, Twitter also announced it would report more data around its Moments section, which is where tweets are curated according to topics and trends. Brands and publishers can create their own Moments. The section has always been a bit of a black box in terms of how many people viewed it and for how long. Twitter is now reporting how many people opened a Moment, likes, shares and completions.